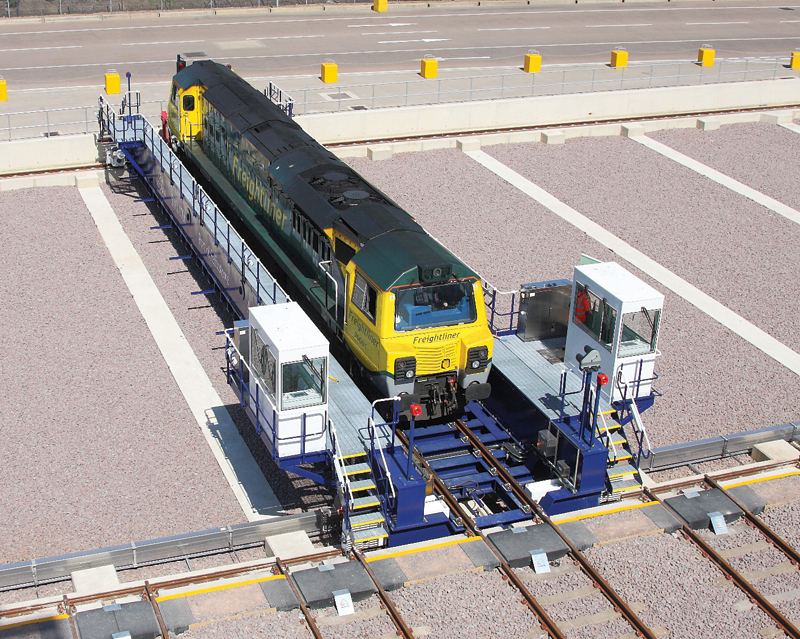 Hird Rail Development has been an integral part of the rail industry for over 60 years. Always at the forefront of new rail technologies, HRD supplies leading-edge rail infrastructure products and services to rail operators and contractors worldwide. Railtex 2019 will see the official UK launch of the PRISMA modular deterrent system, an effective solution to the problem of undesired and unauthorised rail access. These innovative anti-trespass panels slot together like the pieces of a jigsaw puzzle, covering any specified area for in-track or off-track deployment. Hird believes in championing excellence and recognises the crucial role engineering plays in shaping the world’s rail future. Its team will be on hand throughout the show to demonstrate a wide range of track-related products including: TTS Green Trough, Railtec CBX equipment, Railpro end post repair kits and Lankhorst polymer sleepers and bearers. Hitachi Rail is having a busy year, with new rolling stock being delivered across the UK network and beyond. Alongside new trains, innovative digital solutions and signalling technologies are making the railways more efficient – and all of this will be on display at Railtex 2019. Visit Hitachi Rail on stand J11 to experience its global capability and hear about the projects that are improving passenger experience around the world. Hitachi will also be showcasing some of its exciting IoT developments, harnessing the power of Big Data to support operational and user-driven decision making, and the company’s recruitment team will be on hand to discuss careers across the business. There will also be a range of interactive experiences and competitions throughout the event to showcase how Hitachi will continue to innovate and deliver industry-leading technology for the railways of the future. 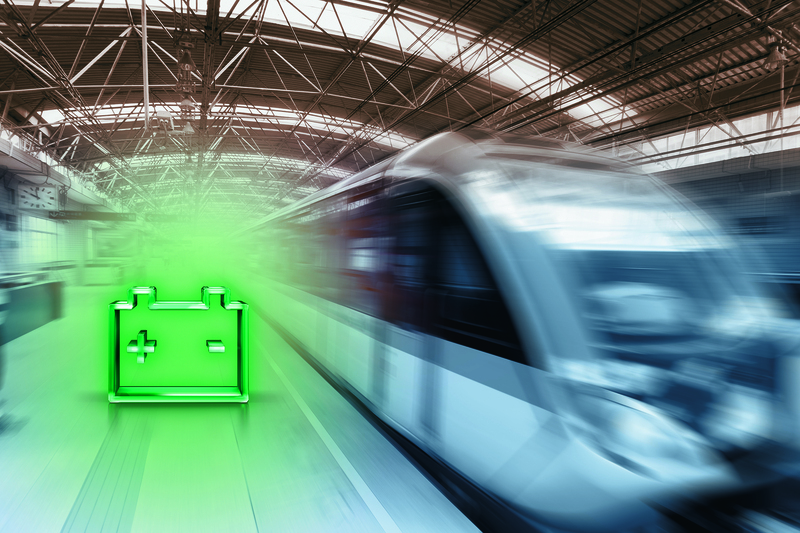 Hoppecke Industrial Batteries will showcase its development of lithium-ion battery technology and underline its credentials in sustainable energy solutions for the rail sector at Railtex 2019. A world leader in the integration of battery systems for rail, Hoppecke’s energy solutions offer high levels of operational flexibility and maximum safety, irrespective of the conditions, even during times of peak demand. On stand F60, Hoppecke will demonstrate the benefits of its lithium-ion batteries, characterised by high energy and power density, a high cycle life for both full and partial cycles and extremely low self-discharge. 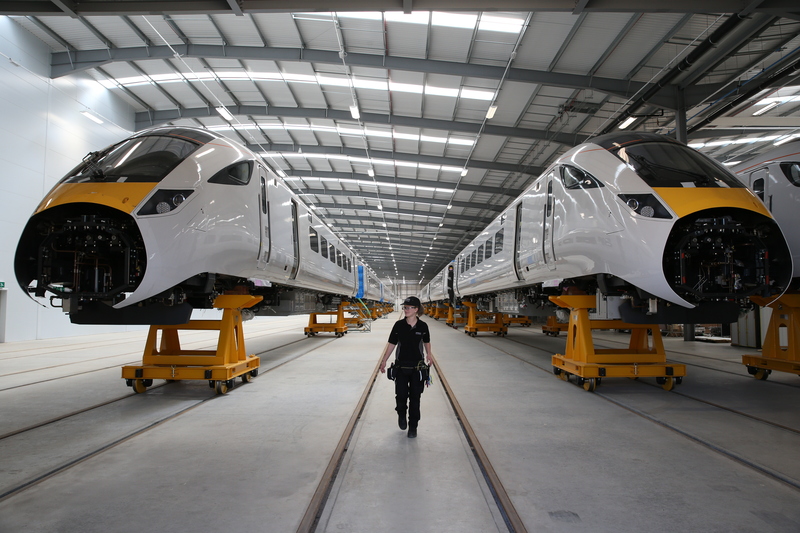 Partnering with Vivarail, Hoppecke was instrumental in the launch of the UK’s first battery-powered passenger train, designing and integrating batteries to power the Class 230 trains. Vivarail also utilises Hoppecke’s ground-breaking Battery Energy Storage System (BESS), which stores electrical energy and then, when the train comes into a station, pumps 1MW of energy in just eight minutes – providing sufficient power for a 65-mile range. Huesker realises that rail projects pose a wide variety of challenges, making engineering know-how, cost awareness and, above all, experience, key prerequisites for the design, installation and maintenance of today’s railway network. 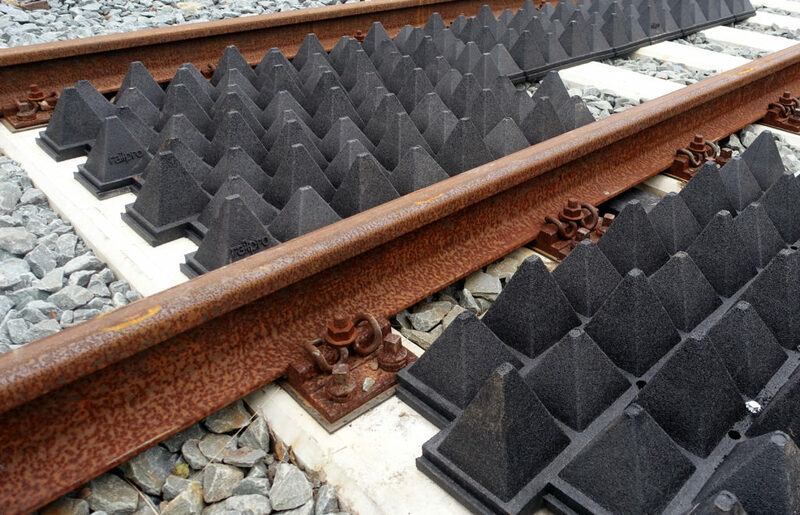 The demands placed on railway embankments, for example, on base courses and neighbouring structures, are sometimes extreme – high dynamic loads, subsoils with very low bearing capacity, environmental protection, spatial constraints, noise control and many more. Yet, whatever the requirements, Huesker not only delivers reliable product quality, it also offers a full range of support services meeting the most rigorous standards. The company’s experience is built on countless rail projects implemented worldwide and its credentials are underlined by a decade-long partnership with German rail operator Deutsche Bahn, as a reliable supplier of HPQ. 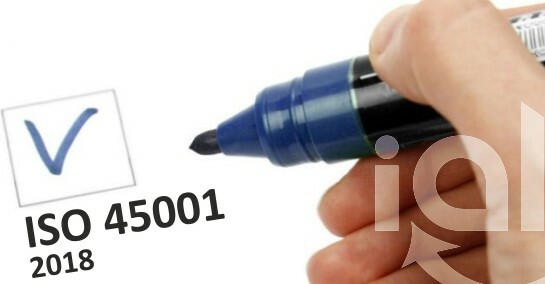 (manufacturer-related product qualification) compliant products. Huesker service begins with providing the customer with initial advice and ends with supporting the realisation of the project on site. Hytorc is the world’s largest and leading manufacturer of industrial bolting systems, boasting a superior line of hydraulic, pneumatic and electric torque and tension tooling. The company’s ongoing mission is to make its customers’ jobs as safe and hassle-free as possible. Hytorc’s rail specialists guarantee to deliver safe, controlled and precise bolting solutions to solve issues experienced throughout the sector with significant improvements in operator safety, speed, accuracy and ease of use. The ground-breaking 36-volt Lithium Series Battery Torque Gun – a Network Rail approved product – is the ultimate solution for portability and convenience on industrial bolting jobs. The lightweight design and dual speed capability make this system the go-to choice for industrial maintenance and production environments worldwide. It has been redesigned from the ground up and Hytorc is excited to announce that the next revolution in handheld electric torque tools will be released in 2019 – the Lithium Series II. 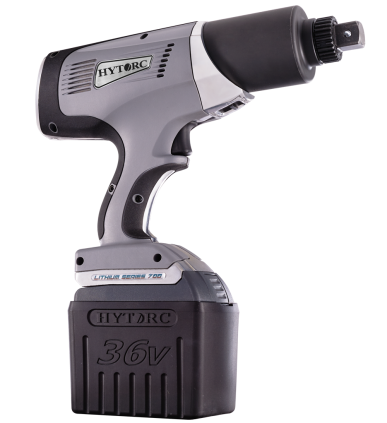 When the Lithium Series Battery Gun is combined with the Hytorc Washer™, customers have the ultimate solution for portability and convenience in industrial bolting. Together they are safer, faster and more accurate than all comparable systems. With offices worldwide, Hytorc offers a 24/7 customer service for all rental, purchase and repair needs. International Applications is a global supply chain specialist, serving customers in rail, industrial, wood and automotive industries. They offer an end-to-end solution that specialises in process optimisation and supplying a comprehensive portfolio of coatings, consumables and equipment as appointed distributors of Helios Rebrantin, Lagos Sky Trotter and Carlisle. International Applications’ main objective is to provide solutions for their customers by offering practical expertise and a wide range of support services, from inventory management to waste disposal, that enables customers to focus on their own core competencies. As a relative newcomer to the rail industry, International Applications has already found success in applying its expertise and optimisation strategies, working closely with major rail service providers. 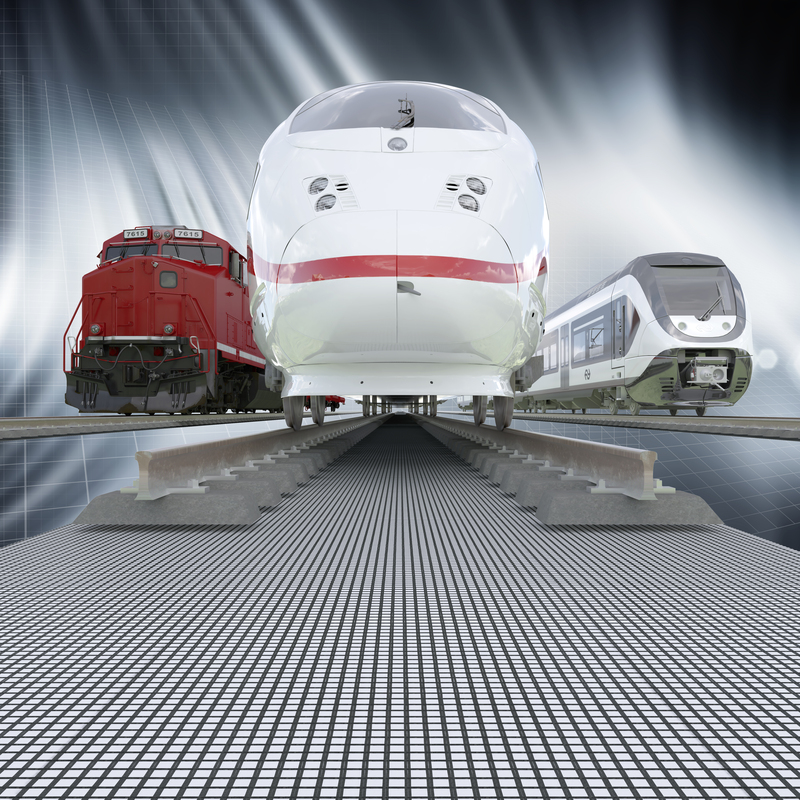 Ixthus Instrumentation is one of the rail sector’s leading suppliers in providing a range of rail measuring gauges for wheel-set maintenance monitoring, wheel diameter, wheel profile, brake disc profile and rail head profiles and cross switch profiles. 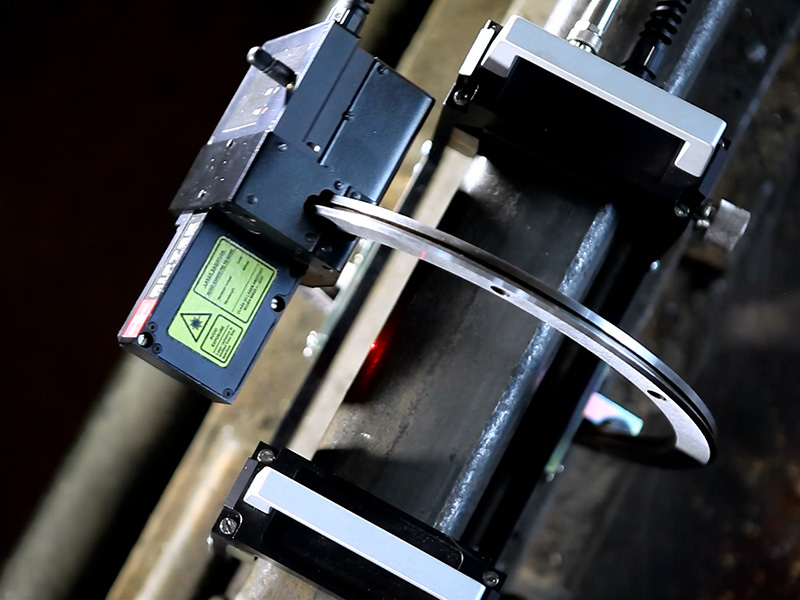 Hand-held non-contact laser measuring and data-logging devices are available, as well as a real-time dynamic on-track wheel-geometry monitoring system. Ixthus Instrumentation also specialises in non-contacting position measurement, using inductive, capacitance, ultrasonic, force and laser technologies, and provides technical support for bespoke design projects, calibration and installation. Kilfrost has kept the railways moving over the winter, even though it’s been hard to ignore the onslaught of media stories about the plunging temperatures and their effect on public transport. However, this Railtex exhibitor has been innovating products to keep the rail industry moving for more than eight decades. Over in the USA, officials in Chicago used flames from gas heaters to melt snow and ice on their railways in a bid to keep trains moving and avoid lengthy passenger delays after temperatures dipped to -30C. But pioneering ways to tackle below-freezing weather started much closer to home. Kilfrost founder Joseph Halbert launched the very first de-icing product in Northumberland in the 1930s, inspired by the humble snowdrop. Having first used the technology to the advantage of the aviation sector, the company has since applied its expertise to heat transfer fluids, the ground sector and, of course, the railways. 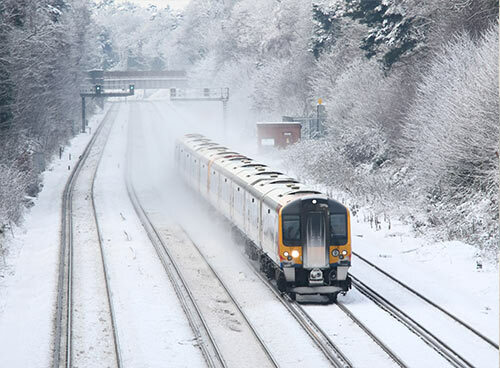 Now there is a whole range of products, covering rolling stock, track and ground and the company is an approved supplier for Network Rail for electrified third rail products, providing de-icing and anti-icing solutions to meet any need. As well as launching new products, the company has focused on expansion across its 80-year history and had reached all corners of the globe by the turn of the century. Korec believes that improving productivity and safety whilst reducing costs can best be achieved by combining an integrated approach with innovative technology. This is all backed up by high quality advice from both the Korec team and Trimble professionals drawing on worldwide expertise. 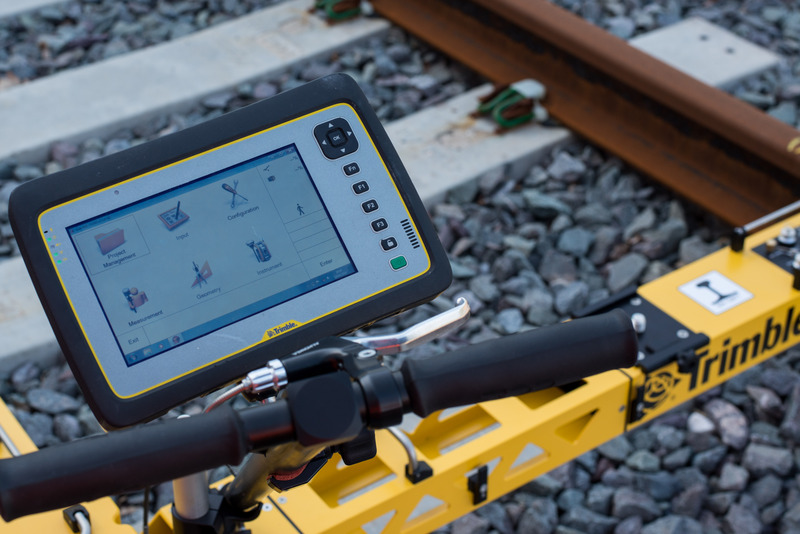 At Railtex 2019, Korec experts will be available to discuss everything, from surveying thousands of metres of 3D track corridor, to solutions for checking digs against 3D design data whilst keeping ‘boots off ballast’. Visitors will also be able to find out about using Trimble’s GEDO IMS System for super-efficient surveying of railway lines and documentation of all assets along the track, how to remotely survey sites post-dig for real time comparisons to 3D design data using an SX10 scanning total station, and how an MX9 mobile mapping system on a rail adapted vehicles surveyed 1,900 metres of track in less than ten minutes. Lantech is an IRIS-certified company that offers a complete family of industrial networking products and solutions that provide for the delivery of universal Ethernet services across various markets and applications. At Railtex this year, Lantech is going to demonstrate the company’s latest 10G copper/fibre uplinks EN50155 Ethernet Switches. The series is Layer 3 / Layer 3 Lite upgradable with optional R-NAT supported, providing the highest flexibility for on-board and trackside applications. The company will also be showing its latest multifunction 4G LTE/Wi-Fi VPN routers with up to four SIM cards, two serial ports, six Giga-speed Ethernet ports or four Giga-speed Ethernet ports plus two SPF fibre ports. The routers support advanced function of VPN with L2+ management function built-in. LB Foster Europe returns to Railtex for the first time since 2015 on stand F11. The company is launching its new, end-to-end track management and performance monitoring solutions, integrating conventional rail products with intelligent, always-on, digital technologies to improve performance, deliver cost efficiencies and enhance safety. Total Rail Management™ combines the company’s comprehensive portfolio of high-performance rail products with market leading onboard and trackside friction management solutions, delivering extended asset life and improved asset performance. Total Rail Monitoring™ creates a smart interface between conventional track products and intelligent, performance monitoring, digital technologies, delivering always-on data that improve asset performance, drive cost efficiencies, enhance safety and assist security. LB Foster’s configurable, fourth generation Protector® system accurately targets friction modifying material on the appropriate part of the rail. ProtectorIV is designed to apply either gauge face grease or Keltrack® high-performance friction modifier. A new, digital control box with Remote Performance Monitoring (RPM™) capability, provides customers with the ability to monitor and report ProtectorIV uptime, maintenance concerns and refilling requirements, in order to proactively manage the equipment installed on track more efficiently. 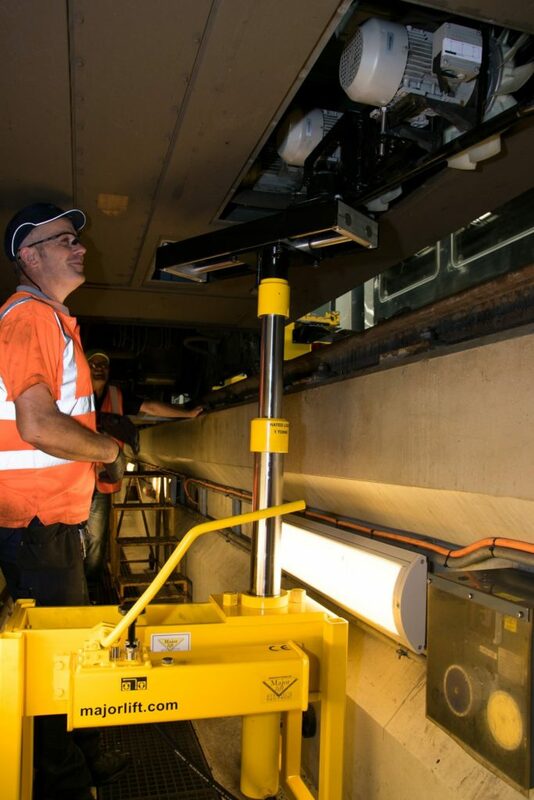 A special, bespoke, high capacity ProtectorIV, developed for use on the Crossrail project, accommodates 230+ litres of grease or Keltrack – an increase of nearly 300 per cent on standard ProtectorIV. The modified, modular solution is designed specifically for tunnel applications, with the capability to retro-fit new control boxes with enhanced functionality post installation. The control box module simply unbolts, with no need to uncouple the motor or pump. LEM is the market leader in providing innovative and high-quality solutions for measuring electrical parameters. Its core products – current and voltage transducers – are used in a broad range of applications in drives and welding, renewable energies and power supplies, traction, high precision, conventional and green cars and businesses. 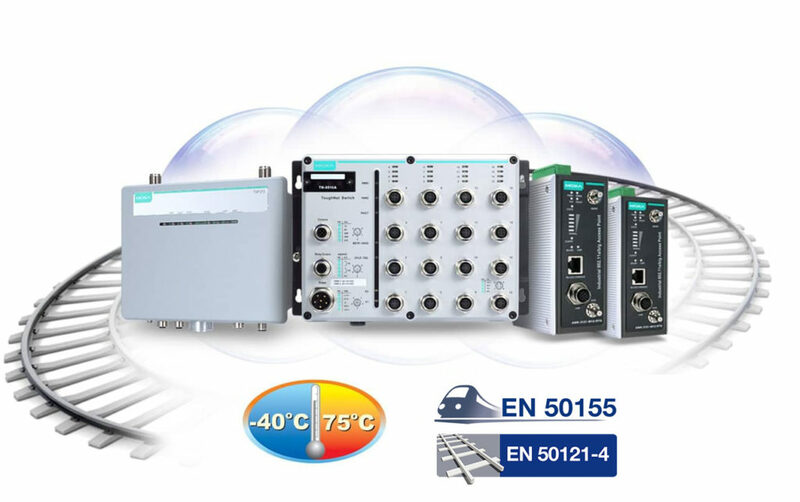 The rail industry uses LEM products for on-board energy measurement, propulsion and auxiliary inverters control, track asset monitoring and improving maintenance infrastructures. 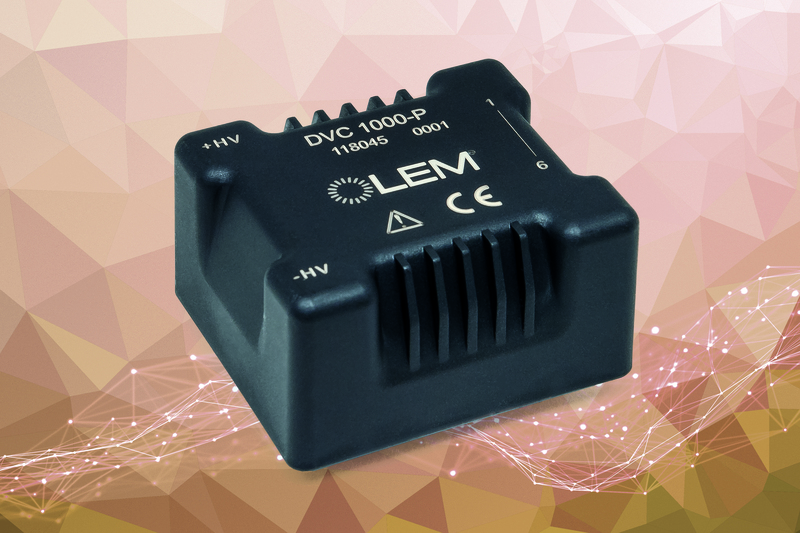 At Railtex 2019, LEM is exhibiting its latest voltage transducer for the safe measurement of 1,000VRMS in traction applications. Despite achieving very high levels of isolation, with a safety insulation voltage of 4.2 kV, the DVC 1000-P transducer is really compact, measuring only 37 x 43 x 23.5mm and can be mounted on a printed circuit board. It delivers a great overall accuracy of +/- 1 per cent at +25°C and has an operating range of -40°C to +85°C. Majorlift will be exhibiting at Railtex for the first time. Well known as manufacturers of hydraulic lifting equipment to the truck/bus and garage industries, the 50-year-old family-owned company is based in a high-tech factory in Gloucestershire. It moved into rail when it was approached by a railway workshop that had problems lifting awkwardly placed equipment under locomotives. Engineers from Majorlift visited the site and, in conjunction with the customer’s own engineers, designed and built a bespoke product which solved the problem quickly and, most of all, safely. From this, an opportunity was identified in the market for a lifting product to cope with equipment weighing up to150kgs. By using its expertise in the road haulage industry, it was possible to produce suitable equipment at a competitive price for railway workshops. As a result, Majorlift hydraulic lifting equipment is now in use in rail workshops in Manchester, Northampton, Leeds, Cardiff and Acton. 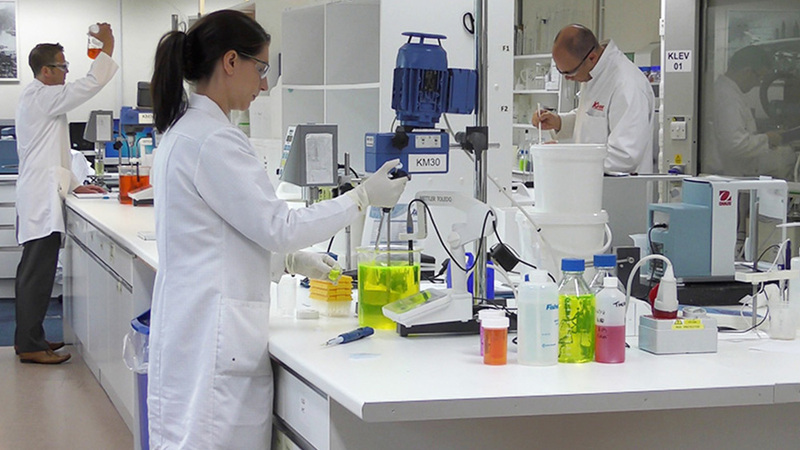 Megger prides itself on the development of safe, reliable and robust test solutions, with low lifetime costs that do not compromise on accuracy of performance. 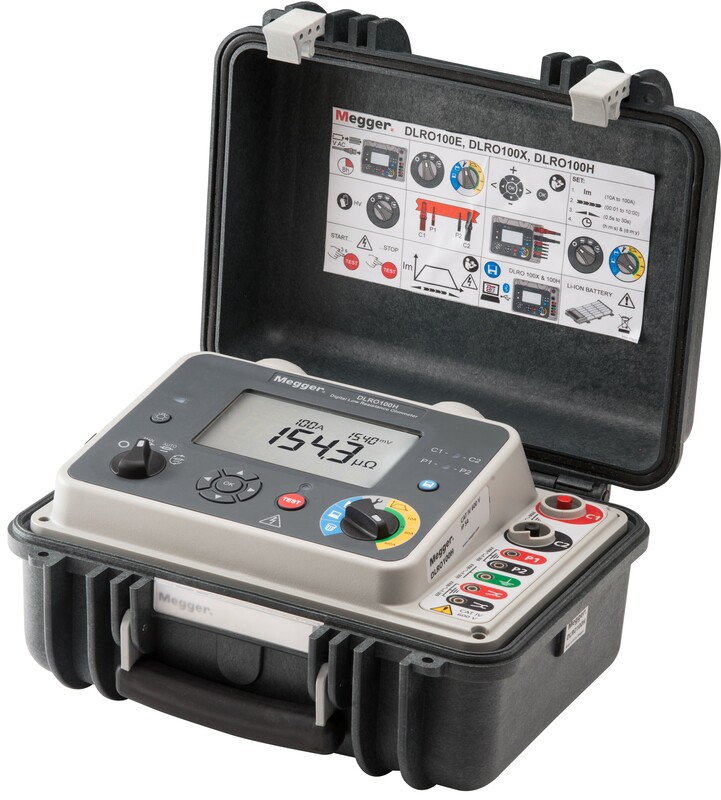 At Railtex, Megger will be exhibiting a range of products used in the rail industry, including the DET earth testers that measure the resistance of electrodes and earthed equipment. The DLRO product family will also be on show. These low resistance ohmmeters equip with Microohm resolution for checking connections, high current circuits and circuit breaker contact resistance. Mechan, the Sheffield-based manufacturer of lifting and handling equipment and a regular exhibitor at Railtex, is celebrating its fiftieth year in the business. Much has changed in the half century since the depot maintenance specialist was launched, but its commitment to quality, safety and reliability remains unwavering. Founded in 1969 to serve Sheffield’s dominant steel industry, Mechan found diversification was necessary to survive following the sector’s collapse in the 1980s. 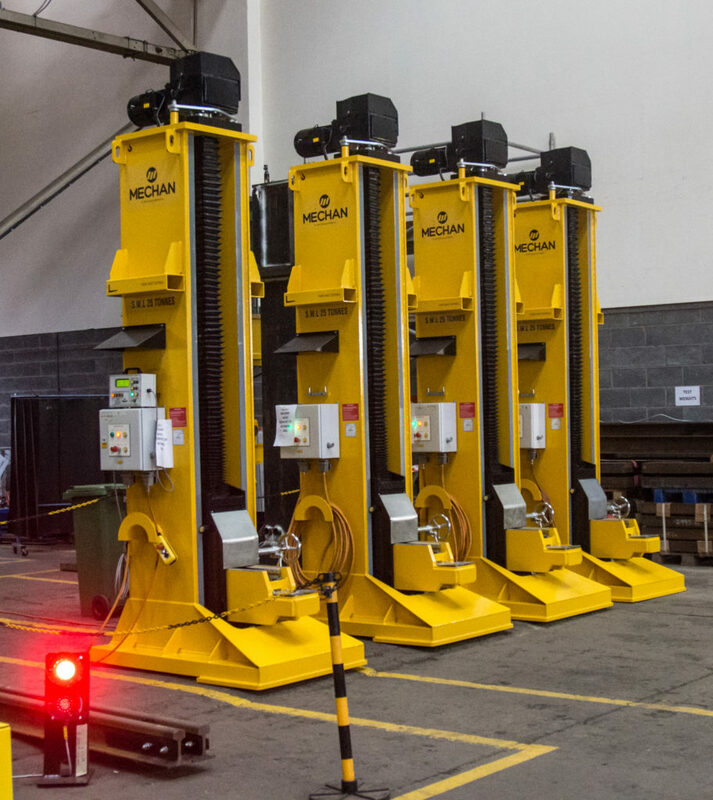 Its first set of rail car lifting jacks was launched in 1990 and they are now the company’s most recognisable creation, standing sentry in depots across the world. Thanks to continued investment in research and development, the firm’s product range has expanded organically to cater for all types of underfloor lifting and handling, bogie workshop equipment and vehicle component removal, including bespoke traversers. It is the only company in the UK that can showcase an ability to design and build these behemoths for any size or weight of vehicle and it currently holds the record for the largest installation in Britain, based at the Port of Felixstowe’s North Rail Terminal. With a capacity of 170 tonnes, the structure is one of a kind, and one of the most advanced traversers ever produced by Mechan. This commitment to innovation is at the heart of the firm’s continued popularity with depot operators and forms the basis of all its homegrown equipment. Its flagship yellow jacks have revolutionised the way in which bogies, wheelsets and other underfloor components are accessed, offering a reliable, yet flexible, way to lift complete trains without decoupling. This, in turn, has vastly improved servicing times, facilitating much-lauded pitstop style maintenance procedures. Boasting a design life of at least 25 years – far longer than other lightweight alternatives – Mechan’s jacks will maintain a load even when power is lost and can be modified to suit wide or tall vehicles, moved around as necessary and configured to lift a train of almost any length. The latest technology and networking expertise combine to create the Megalink control system that is used to synchronise jacks, producing a smooth and safe lift. The theoretical position of every unit in a chain is broadcast at regular intervals, so each one can make speed adjustments so precise they are undetectable to the eye, correcting any height deviations. Megalink enables just one person to manage a lift, using a remote, full colour touch screen controller that displays useful data about maintenance and servicing and gives the operator a complete overview or the option to focus in on a particular jack, making it easier to diagnose faults. The most recent addition to Mechan’s range is a cost-effective, lightweight jack, designed specifically for the tram and light rail markets. This smaller version still retains all of the features so revered in its heavier counterparts, but has a different base arrangement and built in assembly for ease of movement around a depot. It can be utilised in sets of almost any length, but has a lower lifting height to cater for the proximity of the car and rail. Just two years ago, Mechan joined French rail infrastructure group CIM and is now part of a larger conglomerate, CMI. This has accelerated international development and exports now play a more significant role in its development than ever before. In 2018, the firm completed its first joint project with CIM for the Panama City Metro, delivering twenty 12-tonne lifting jacks, four turntables and 40 vehicle stands for a new depot built in the Nuevo Tocumen area. Rail experts from its parent groups have joined Mechan’s board, alongside longstanding members of the in-house team. Martin Berry has been promoted to engineering director, bringing a wealth of technical expertise built over 15 years with the firm, and qualified mechanical engineer Andrew Mott from CIM was appointed managing director. By embracing diversity, Mechan benefits from a range of voices at all levels of the business, offering different perspectives, which ultimately leads to better decision-making and continued innovation. More than a quarter of the company’s staff, and half of the management team, are women, almost double the rail industry standard. A number of them have enjoyed more than a decade of service, with administration manager, Alison Bradshaw, clocking up an impressive 27 years. This continuity is attributed to Mechan’s recognition of talent and efforts to retain those who make a valuable contribution to its success. Various policies and practises are in place to support flexible working, enabling employees to balance family commitments, such as school runs, with their professional responsibilities. It is this pride in its work and keen focus on developing products that meet the changing needs of the rail sector that has seen the firm through every stage in its development. Thanks to its dedicated team, this innovation and drive to succeed will continue long into the future. 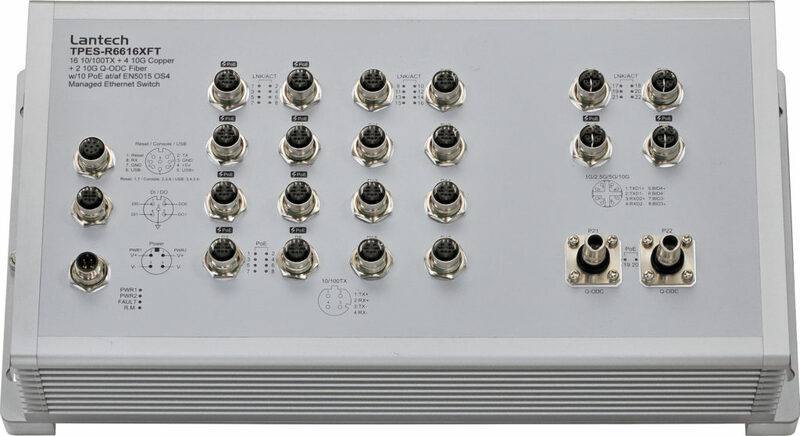 Moxa provides a variety of onboard networking and computing solutions that are based on the EN 50155 standard, including wired and wireless devices, computing equipment, and I/O controllers that fulfil requirements for different onboard systems to ensure safe and enjoyable journeys for passengers. 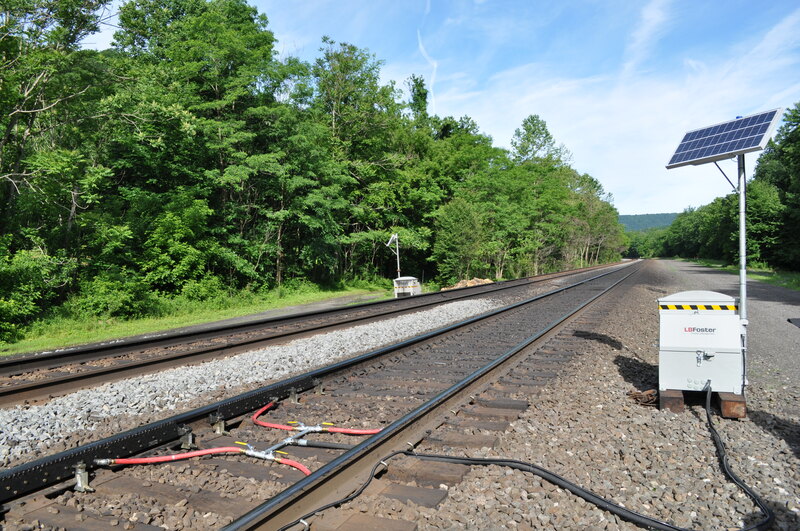 Wireless technologies are frequently used in train-to-ground applications to develop bi-directional communication. Moxa provides WLAN and an onboard communication gateway that can fulfil the system requirements for vital data communication systems such as CBTC. In addition, Moxa solutions can meet the requirements for non-vital data communication such as passenger information systems. Wayside signalling and telecommunication systems that are used along the trackside require large networks to collect and transmit data back to the control centre. Some systems also have to collect extra data from turnouts and level crossings in order to ensure smooth daily operations. Moxa’s Ethernet switches and programmable controllers are compliant with the wayside EN 50121 standard to meet these requirements. MPI has been sourcing and growing rail personnel across a range of technical roles since 1989, providing support for professional and technical roles alongside its growing trainee scheme. 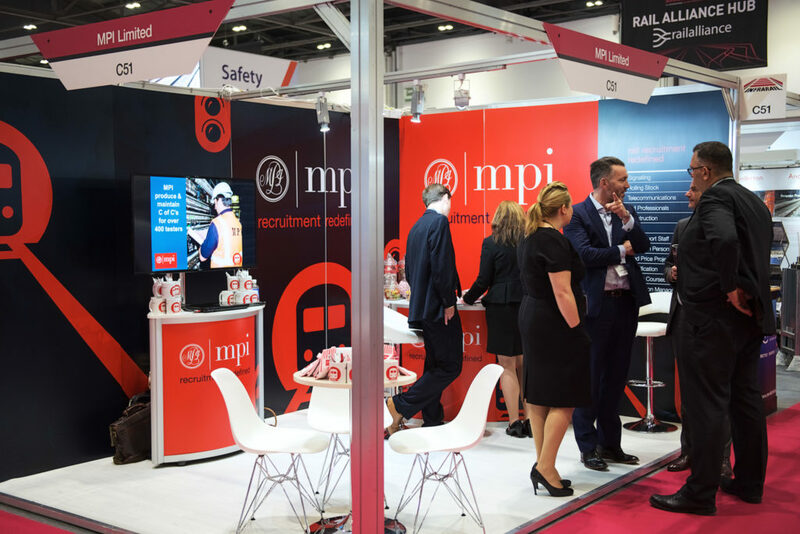 MPI may be the most established recruitment agency in the rail industry, but it’s never lost that personal touch. The business is all about people – and MPI is proud to have this focus at its core, always spending the time to understand exactly what each client and candidate needs. With a strong track record of working for signalling, civils, telecommunications, rolling stock, maintenance and construction companies, MPI provides a competent, reliable solution to smooth workload peaks, working with its independent professional head and technical advisors to ensure only competent and experienced candidates are placed. RISQS approved, with a highly commended competence management system and the ability to deliver fixed price packages of work, MPI is dedicated – at every level – to ensuring that the safety of its candidates and clients is never comprised. 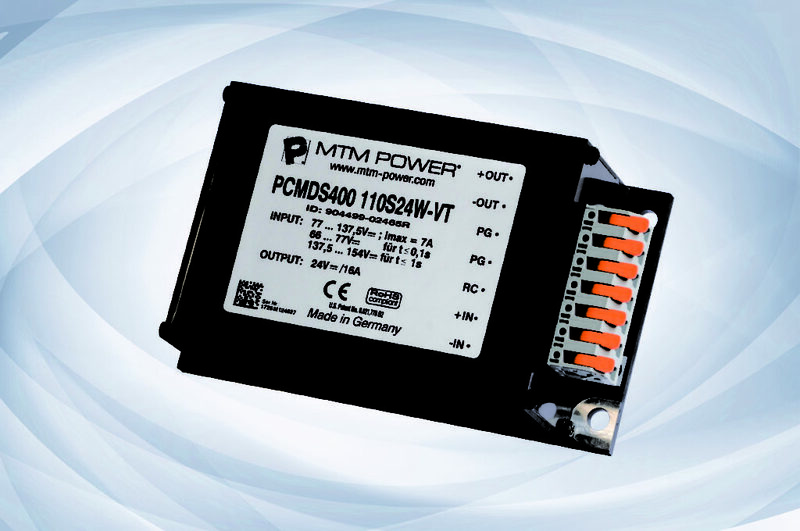 MTM Power’s PCMD400 has, for years, been a well-proven converter series, especially designed for applications in vehicle and railway technology as well as in rugged industrial markets. Following a complete redesign of this series, MTM Power® now offers – with the new PCMDS400 series – converters using state-of-the-art technology, which, at the same time, fulfil all the various applicable standards. In addition, the DC/DC converters now offer connection via push-in cage clamp connectors. The devices operate according to the push-pull principle – the input DC voltage is chopped by two push-pull transistors working at a frequency of approximately 70kHz. With the help of a transformer and a secondary linear choke, a galvanically isolated output voltage of 24V is produced, which is adjusted by pulse-width modulation according to the current mode principle. Due to their compact design, the new converters are particularly suitable for applications where only space is at a premium. 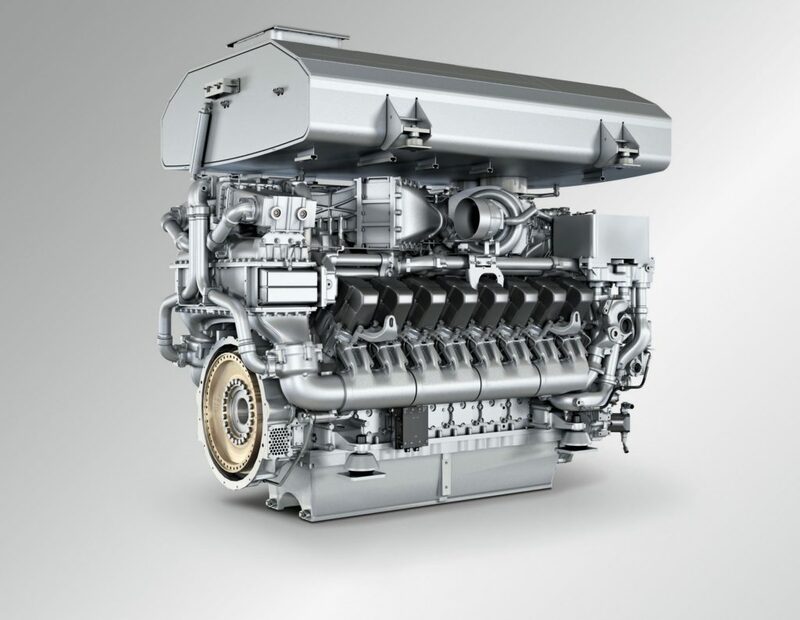 MTU will be displaying its new hybrid powerpack, which meets the stringent EU Stage V emissions requirements and is suitable for both new-build and retrofits, on its stand at Railtex 2019. The EU Stage V-ready MTU portfolio of drive solutions ranges from powerpacks for DMUs with Series 1800 (315 – 375kW) and Series 1600 (565 – 736kW) engines, to Series 4000 engines for locomotives with a power output of 1,500 – 2,400kW. All MTU drive solutions for EU Stage V will be available in time for the new emissions regulations which come into force in 2021. The MTU Hybrid PowerPack is an eco-friendly drive system which incorporates an MTU diesel engine plus an electrical machine, which can be used either as an electric motor or generator, and an MTU EnergyPack battery system which stores the energy recovered during braking. The result is a significant decrease in fuel consumption and CO2 emissions – by up to 25 percent depending on vehicles and routes.